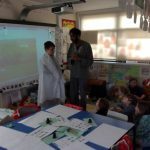 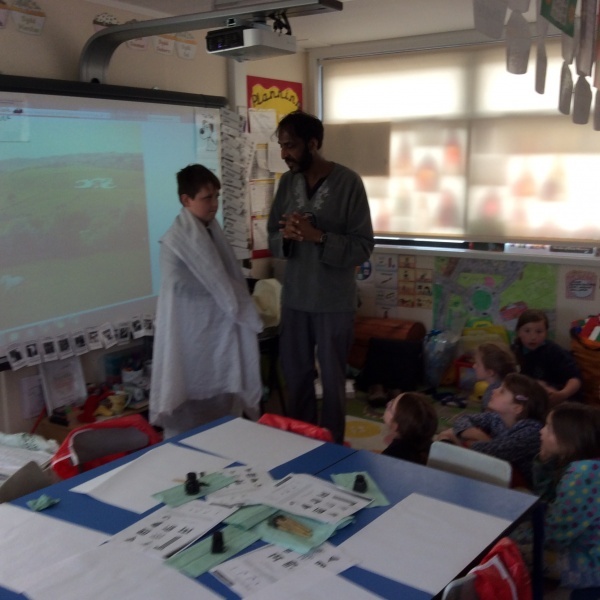 A fantastic and exciting day was had by all at Clyro Church in Wales Primary School on Thursday 19th May when we held a Multi-Faith Day at our school. 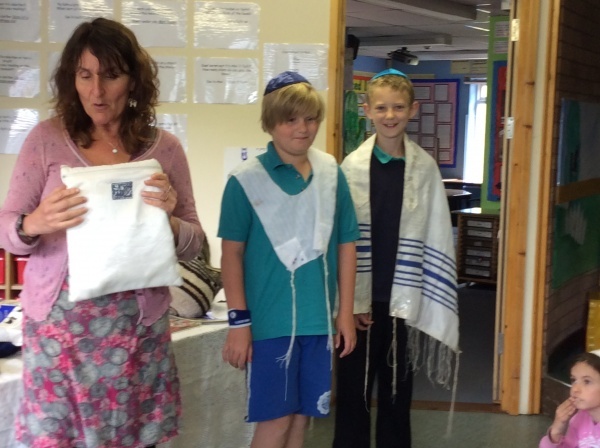 This was the first ever Multi-Faith day held in any school in Powys. 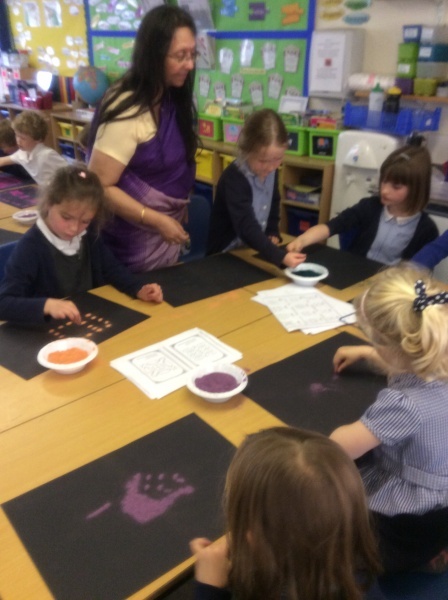 We are required to follow the Brecon and Swansea Religious Education Syllabus where the children learn about different world faiths, religions and cultures and so in order to do this, the children spent the day in 4 different workshops learning about Christianity, Hinduism, Islam and Judaism. 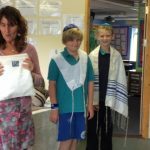 Throughout the day, the children had the chance of learning about the Jewish way of life with Mrs. Jane Silver-Corren, through dance, drama, songs, tasting food and looking at Jewish artefacts. 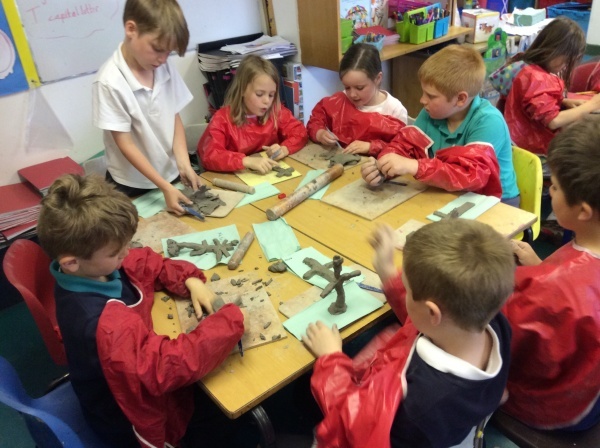 Then they learnt about the symbolism of the cross and made their own clay crosses in the Christianity workshop with Rev. 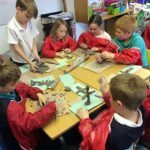 David Thomas, our vicar and governor of the school. 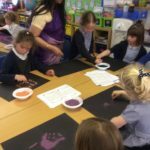 Later that afternoon, the children had a go at calligraphy using bamboo dip pens and homemade ink and learnt about what it is like to be a Muslim in the Islamic workshop led by Mr. Raz Ul-Haq and later experienced a Hindu Temple and made Rangoli patterns with coloured sand with Ms. Bharti Tailor in the Hinduism workshop.